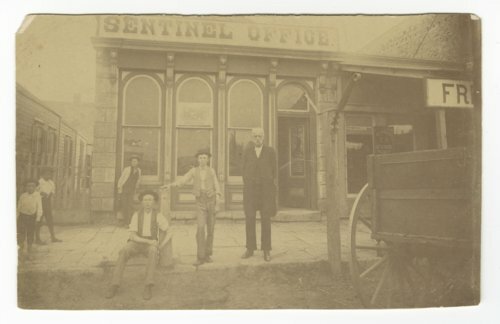 This photograph shows publisher William P. Montgomery standing in front of the last Hays Sentinel newspaper office in Hays, Kansas. The building burned in 1895 but the printing press was saved. The gentleman sitting on the sidewalk has been identified as Charles Fager.